Ever wonder how BuzzFeed manages to keep visitors around for so long? It all started with the listicles that featured fun images and scannable text. Then they expanded to a wide range of other content, such as quizzes. But BuzzFeed also reinvented the quiz to make it more visual in nature and focused on the user. For instance, you might stumble upon a quiz like “Which Harry Potter Character Are You?” which delivers a result based solely on your responses. 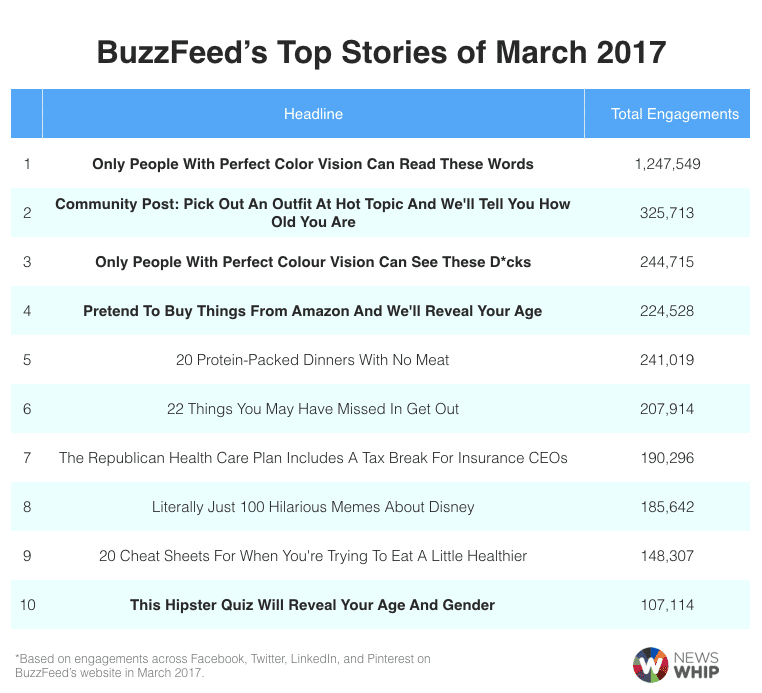 According to NewsWhip, out of BuzzFeed’s top content in March 2017, the top four stories with the most engagements were all quizzes! 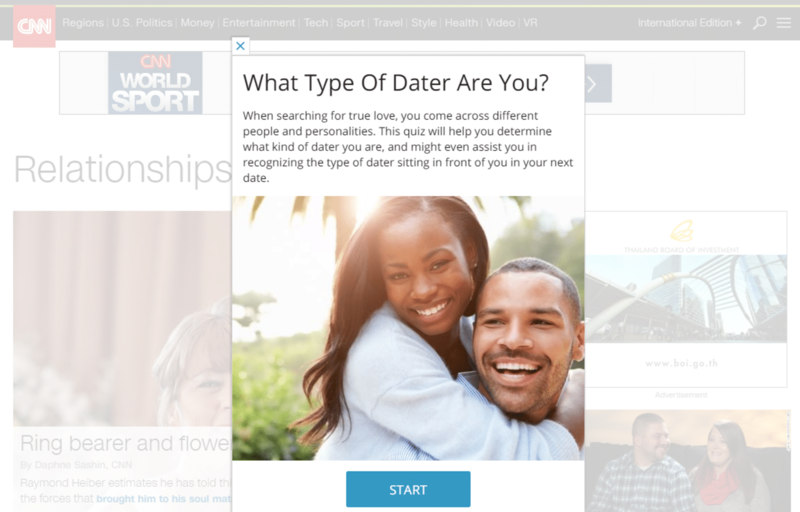 Other websites have been using quizzes for quite some time, seeing as how quizzes hook readers and keep them on websites for longer durations. They can be great for increasing engagement. Take ESPN, for example. The sports juggernaut has consistent quizzes and surveys on whether or not the Cubs or Cardinals are going to win or whether or not a certain football great is worthy of the Hall of Fame. The good news is that it doesn’t take a development degree to make and implement a quiz on your own website. All you need is a solid WordPress quiz plugin for generating questions, adding answers, inserting images and tallying up responses. Some of the WordPress quiz plugins provide additional features for things like polls and surveys, while others look more like full suites with email capture, form-building and slideshow tools. From basic quiz generators to modern BuzzFeed-style quizzes, you have plenty of options to choose from. So, keep reading to learn about the best WordPress quiz plugins out there. For many webmasters, putting a quiz or survey on a blog or business website comes as an afterthought. They’re more focused on fulfilling orders, creating blog posts and developing the website. 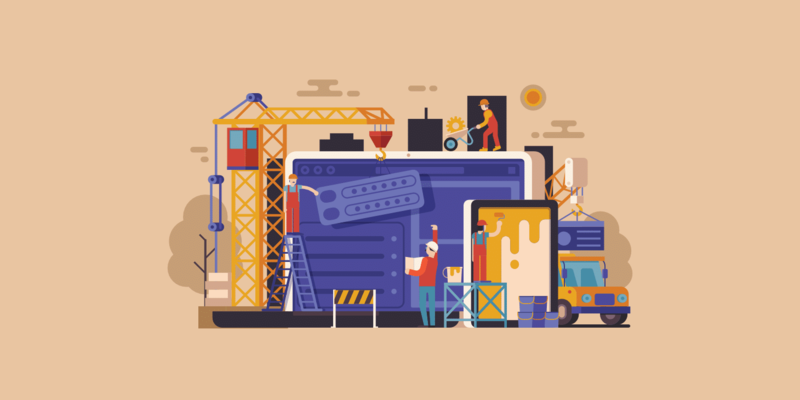 However, a WordPress quiz plugin makes for an easy installation and implementation process, opening up far more content creation possibilities along the way. 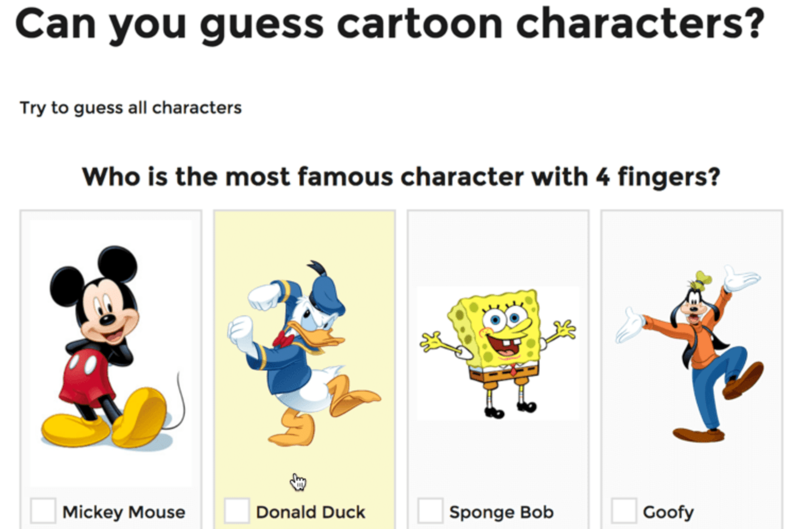 Thinking of new ways to interact with your readers is tough, but quizzes are not only fun for the users, but they engage people so they stick around longer. You can reduce your bounce rate by keeping users on your site for a longer period of time. The bounce rate is factored into your SEO, so this can help boost your rankings. It gives your visitors something to do that’s fun, educational or relevant. Quizzes improve your conversions since customers learn about your company through the quizzes. In addition, they’re around longer so they may end up buying a product, clicking on an ad or signing up for your email list. Quizzes are bound to get lots of social media shares, which puts your blog and overall website on the map. You’re often more likely to receive participation in the comments section when you have a quiz. Some quizzes are for testing user knowledge, like if you’re running a school or course and need to know whether or not to accept a student. 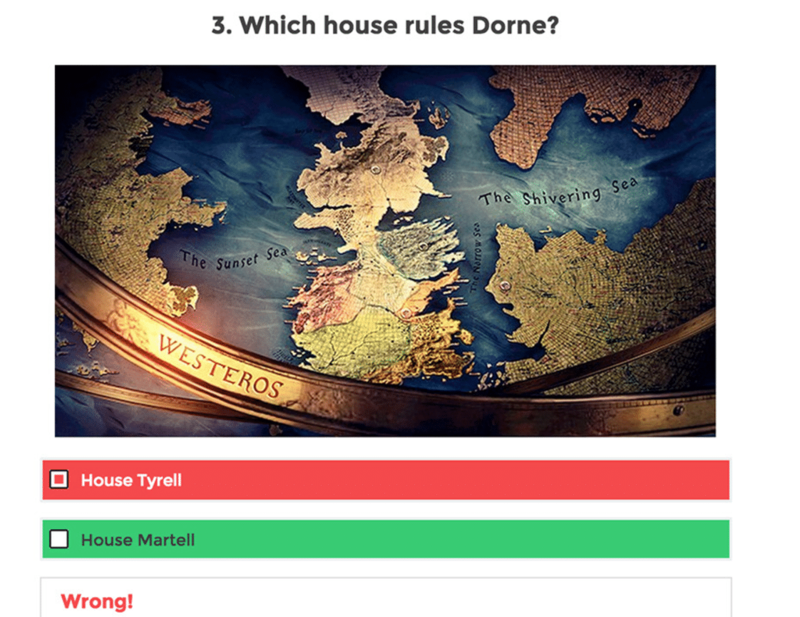 Quizzes can capture leads. According to LeadQuizzes, the average quiz has a 33.6% lead capture rate. As you can see, a simple WordPress quiz plugin opens up all sorts of opportunities for your online store, blog or small business. The cool part is that most of them are free, or at least cheap. With that said, keep reading to find the best WordPress quiz plugins. The main details are listed below, but if you’re in a hurry, here’s a quick list of the best WordPress quiz plugins (in no particular order). The Quiz and Survey Master plugin has the ratings and reviews to make most people pull the trigger. You also get some pretty impressive features for designing your quizzes and surveys. The WordPress quiz plugin has a simple builder with options for items like radio buttons, comments and check boxes. You can add a timer if you don’t want users spending all day, and the plugin allows for media to be inserted within the quiz. There’s also a premium plan, or you can download the premium add-ons individually. You’re not limited to a module where media can’t be added. For example, you might want quiz-takers to look at a video before the question, but some quiz plugins limit this type of functionality. Quiz and Survey Master works similar to a regular blog post. If a timer is activated, the user sees it in their browser tab, just in case they navigate away from the quiz. Emails are sent out after the completion of a quiz or survey. You have the option to not pay for the entire premium plugin by selecting the features you want. Some of the premium features include landing pages, export results, reporting and MailChimp integration. It has interesting features like hints for the users and login requirements. The premium plan is pretty expensive for a plugin. The plugin might sometimes conflict with your theme, causing problems with the way it shows up. We have a few BuzzFeed-style quiz builders on this list, but the WordPress Viral Quiz solution beats out the rest. It’s sold on CodeCanyon, so all you have to do is make a one-time payment. 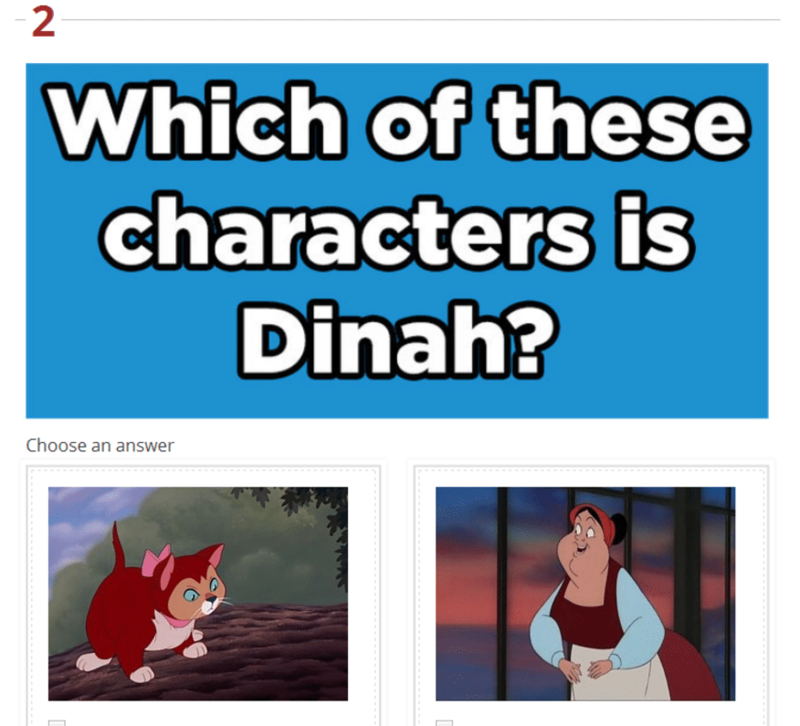 The quizzes look almost exactly the same as ones you’ll find on BuzzFeed, with large thumbnail images and multiple result opportunities at the end. As for the customization tools, it doesn’t take much to figure out how the plugin works. Not to mention, the viral capabilities are enough to get most webmasters on board with WordPress Viral Quiz. It has a built-in email capture module for getting more people signed up for your newsletter. You can create personality and trivia quizzes. The personality quizzes tend to go viral on Facebook, while the trivia quizzes are popular on Twitter. The plugin provides a tool that asks users to share on social media if they want to see quiz results. You can check analytics to see exactly how well the quiz is performing. Insert ads around the quiz and enable a refresh browser function to bring in more money over time. You’re limited to BuzzFeed-style quizzes, so if you don’t want personality or trivia quizzes, you should look elsewhere. The developers market these features quite a bit, but many visitors are going to find the forced social share and browser refreshing annoying. Marketing tools are limited to post-quiz situations. So, you can’t do something like ask for an email before users start the quiz. Some reputable email marketing platforms aren’t supported. Quiz Cat has similar quizzes as BuzzFeed but with a little bit of flexibility. You can add imagery into the quizzes, while also taking advantage of unlimited questions, custom completion messages and random shuffling of quiz answers. The basic functionality comes for free, but you do have the option to upgrade for a somewhat affordable one-time payment. For example, the plan for one website goes for $49 but you only get two additional features: Personality quiz-making and social share boosting. The interface is clean on both the front and backends. It blends with all WordPress themes and looks wonderful on mobile devices. It has unique tools like shuffling answers and providing messages at the end. You can translate the quizzes to just about any language. They have some cool premium features like spreadsheet exporting, Facebook Pixel integration and email marketing. Although the quizzes can be translated, the actual plugin is only in English (as of now). Adjusting the quiz language requires you to use a filter. In short, it’s not beginner-friendly. The quizzes run in their own separate modules, so you’re limited with media and other formatting. WP Quiz has a free and Pro Version. It empowers you to develop trivia and personality quizzes, all of which are meant to go viral. It’s a completely responsive plugin, and you can place it on an unlimited number of sites. The Pro Version has an $87 price tag, and it includes some additional features such as the ability to export your quizzes. The free version has an incredible number of features and support for adding unlimited quizzes. You can add a flip quiz effect so that users see animations (similar to flipping flash cards) whenever they complete a question. There’s an area to include an image credit, keeping your operation legal at all times. The plugin has customization tools for changing progress bar colors, animation effects, font colors and background colors. You’re limited to personality and trivia quizzes. Some webmasters might find the pricing a little steep. ViralPress is another premium-only WordPress quiz plugin with support for viral quizzes. In addition to that, it allows for making polls, lists, videos and more. Essentially, the ViralPress plugin is more of a suite than anything. It seems to be trying to offer a complete BuzzFeed solution, seeing as how you can generate listicles in a shorter amount of time, and it also has gallery and meme support. It offers full social integration with social logins, sharing buttons and Facebook comments. Analytics are provided for tracking how many shares each quiz has accumulated. Create and integrate with much more than quizzes. This includes audio, video, polls and memes. Make and edit your quizzes from the frontend. The meme generator is far from special. You’re better off going with a free generator online. The Ari Stream Quiz packs quite the punch, considering it’s free and you receive some email capture settings with your quiz builder. The email lead form integrates with the most popular email marketing tools (like MailChimp and AWeber,) and you can build personality and trivia quizzes. A few premium packages are offered, starting at $17. This provides features for multiple pages, showing a results page and more. You can encourage people to share the quizzes on social media. The email marketing tool is bound to increase the number of people on your list. They actually offer premium support with a free plugin. The premium plans have “force-to-share” features and better social sharing tools. Although the quizzes support media, it’s required to use HTML code in order to do so. If you’d like some flexibility besides the popular personality and trivia quizzes, the Unlimited Quiz Builder has additional options like lists, regular quizzes and polls. The plans start at $7 per month, so it ends up being one of the most expensive WordPress quiz plugins out there. However, the functionality is there, with email capturing, quick image cropping, social sharing and a search tool for GIFs. They have a nice search bar for finding images, GIFs and memes that are sure to get shared quite a bit. 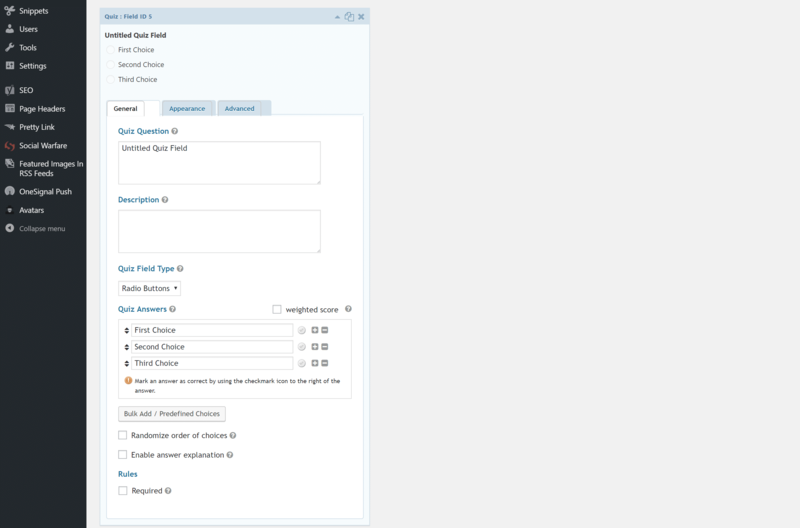 The plugin integrates with services like MailChimp, AWeber, Zapier and most CRMs. You can build Likert scale quizzes. You don’t have to think about editing photos before uploading, since the plugin has a solid editing tool built in. Although there is more professionalism to the plugin, it still has that BuzzFeed style, which some users might not be looking for. The recurring monthly payments go against the trend of one-time payments in this plugin niche. WordPress Quiz is one of your best bets if you’re looking for a clean, modern quiz without the craziness of viral sharing and personality quizzes. This is a viable option for regular businesses that want to create quizzes for customers or even for schools that need to have admissions tests. It gets away from the trendy BuzzFeed quiz style. You can randomly sort questions and answers. It allows you to place multiple quizzes on the same page. This is a rare feature. Stats show up on the backend, using charts and broken-down data for future analysis. The pricing is only $19. Users can submit their scores to the owner after taking a quiz. If you’re looking for a viral, fun personality quiz builder, this isn’t the plugin for you. The plugin lacks a point system. So if you want some questions to have higher point values, you’ll have to look elsewhere. As the long-winded name suggests, this WordPress quiz plugin supports polls, surveys, quizzes, slideshows and forms. Furthermore, it’s a great option for lively blog quizzes, but you can also make something more professional. Add engaging buttons and interesting media to all of your quizzes. Complement your quizzes with surveys, slideshows and forms. Integrate ads into your quizzes to make money with the process. Customize fonts, colors and the quiz sizes. You don’t have to pay any money for this WordPress quiz plugin. The developers have a collection of the top quizzes for you to find inspiration. You’re limited to trivia and outcome quizzes. You have to sign up through a remote site, making the setup process a little more difficult. If you have a developer license to the popular Gravity Forms contact form plugin you can also use their official Quiz add-on. The quiz features can be found under the “Advanced Fields” section. Because this is a premium plugin, you get great support and updates from the Gravity Forms team. Easily integrate quizzes into the existing forms that you are already comfortable with using. Choose right and wrong answers, weight the score, randomize order of choices, and provide answer explanations. Requires the developer’s license which starts at $199. Doesn’t have as many visual options as other plugins, but if you are a developer you could make this do just about anything. Is There a WordPress Quiz Plugin That’s Best For You? A WordPress quiz plugin is a bit like choosing a theme. You want it to look right for your brand and have the built-in features you’re going to use every day. For example, a BuzzFeed-style quiz plugin isn’t going to work for educational organizations and more serious businesses. These WordPress quiz plugins look better on playful blogs. We like Quiz and Survey Master and WordPress quiz for basic and professional quizzes. These are our favorites for viral (BuzzFeed style) quizzes: WordPress Viral Quiz, Quiz Cat and WP Quiz. People on a budget should go with WP Quiz, Ari Stream, or Quiz and Survey Master. Those who don’t care about recurring payments should definitely consider Unlimited Quiz Builder with Email Capture by Riddle. If you are a developer with clients you might want to check out the Gravity Forms quiz add-on. There you have it! If you can think of any questions while completing your WordPress quiz plugin search, let us know in the comments below. Is there any plugin which supports Likert scale and gives a summation response? I know the Unlimited Quiz Builder with Email Capture by Riddle plugin can do Likert scale. You might want to check that one out. hello, great info thank you. Can you suggest a plugin that offers the answers of the overall quiz to be automated into separate mailing lists? Quiz and Survey Master is a great quiz plugin….when it works. Support is spotty to non-existent (the auto-responder is the only reply you will get). A recent update knocked out the ability to create new quizzes and edit existing quiz questions. I purchased an addon to provide for charging and payments for quizzes. It doesn’t work and the Quiz and Survey Master folks haven’t addressed this issue since early March 2018. They have a premium support and addons program for $198. I can’t see paying this for a plugin that has so many problems. Thanks for the heads up Zeb! Great list Brian! I actually tried some. Currently using ‘Advisor Quiz’ which is not on the list. It’s brand new – still needs some bugs solved – but it’s promising. It integrates with woocommerce to attach product suggestions to the results, so it’s great to try to get potential customers to engage with the quiz and provide them product suggestions based on results. It works great for what I needed. Shane MeLaugh from Thrives Themes is really a good solid developer of WordPress Plugins and he gives excellent FREE training that I really appreciate.